Are you the Trivia Champion? One night only! 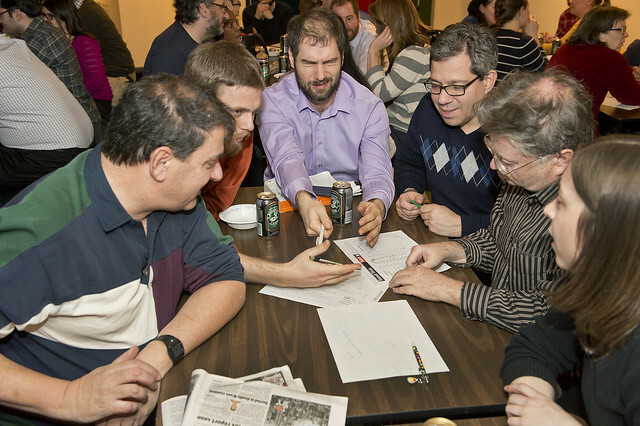 It’s our annual TRIVIA NIGHT on SATURDAY, APRIL 25, 2015 from 7 pm to 10 pm. Please mark your calendars & join us! Tickets will be sold after all Masses this final weekend, April 18 & 19, 2015. Tickets are also available at the Parish Office on weekdays. Ticket prices start at $ 15.00 for adults, and $ 10.00 for Youth (12 to 18 years). Pizza and snacks included in the ticket price. Great door prizes! Beer, wine & pop available for purchase. If you wish to donate Gift cards, gift baskets, gift certificates, chocolates etc for door prizes you are welcome to drop these off at the Parish Office. Thank you for your generosity and we look forward to seeing you there!